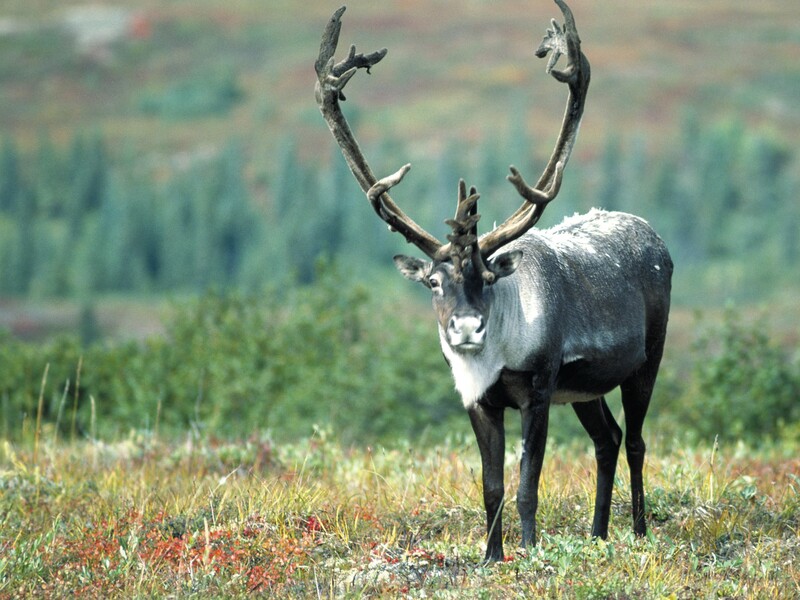 Only a few dozen mountain woodland caribou remain near the U.S. border with Canada. At the beginning of 2012, environmentalists thought they had a solid proposal in place to help the endangered mountain woodland caribou, the last few of which occasionally dip south of the Canadian border into Idaho and northeastern Washington. But this winter, hopes of designating a vast protected area for caribou have not only dwindled — they’ve sparked a review that could de-list the animals from the Endangered Species Act. First, the U.S. Fish and Wildlife Service (FWS) cut its original 375,000-acre protected habitat proposal by 90 percent — to about 30,000 acres. Then, the FWS declared it would consider a petition filed by Bonner County and the Idaho Snowmobile Association to de-list caribou from the Endangered Species Act. “My sense is these agencies have decided to write off the caribou,” says Mike Peterson, referring to FWS and state agencies in charge of protecting the caribou. Peterson, executive director of the Spokane-based Lands Council, points out that the state of Idaho is also scaling back its own caribou protections, which included an off-limits zone for snowmobiles east of Priest Lake. While scientists say such winter motorsports can disturb the animals, Idaho is easing restrictions in that no-go zone, according to Peterson. Steven Duke, assistant field supervisor to the Idaho Fish and Wildlife Service office, says it wasn’t the protests of snowmobilers and other North Idaho residents irate over the proposal (and snowmobiling bans) that led to the smaller FWS critical habitat plan. According to Duke, the original draft proposal didn’t follow its own rules of limiting critical habitat to where caribou were known to be when they were first listed as endangered in 1983. “[The protesters] weighed in, they provided info, but the final designation … was having a better look and a better understanding of the science,” he says. As for the petition to de-list the caribou, Duke says it’s normal for FWS to review any petition that isn’t outlandish. Bonner County Commissioner Mike Nielsen says he’s “pleased the USFWS has recognized the need to conduct a more thorough review of our petition.” Nielsen is one of the commissioners who authorized county money to be spent by the Pacific Legal Foundation, which is representing Bonner County and the Idaho Snow Sports Association in the effort to de-list the caribou. Only an estimated 1,850 mountain woodland caribou remain in the world, mostly further north in the Canadian Rockies, but a small group — the Southern Selkirk herd — dwells on the border where Canada, Idaho and Washington intersect. While estimates vary, the herd is thought to number about 40. Peterson, of the Lands Council, says he sees the efforts to protect caribou shifting to less land-invasive proposals. But not the old population-boosting schemes, like transplanting caribou from farther north in Canada into the Selkirk Mountains near the American border, which haven’t been effective. “There should be some consideration of a captive breeding program,” Peterson says, which would provide a safe area for the current herd to replenish its numbers. He says it’s worked well for restoring the condor population as well as other once-dwindled species.